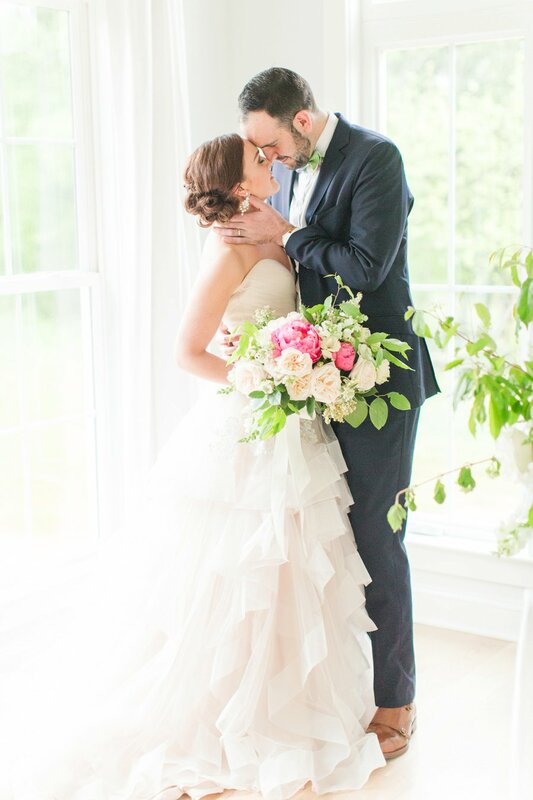 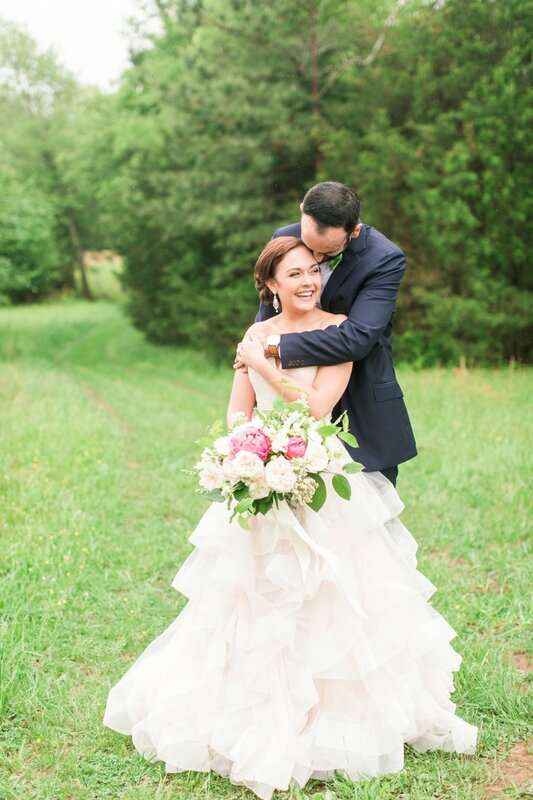 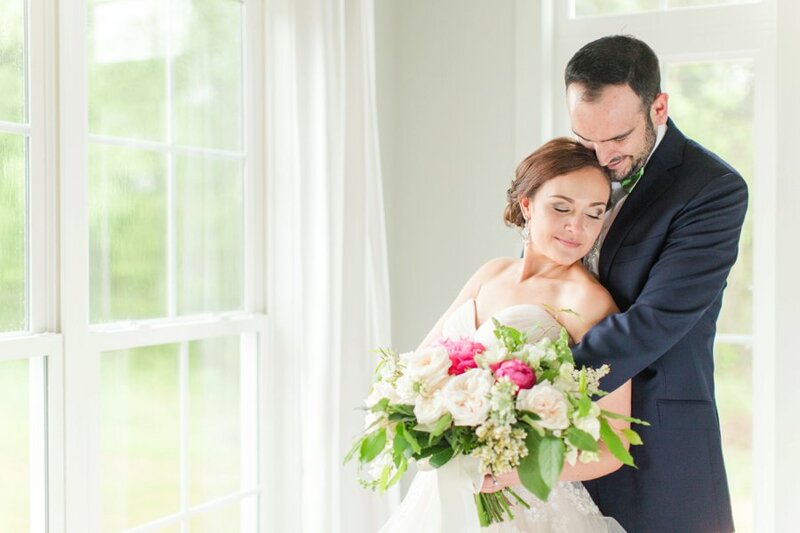 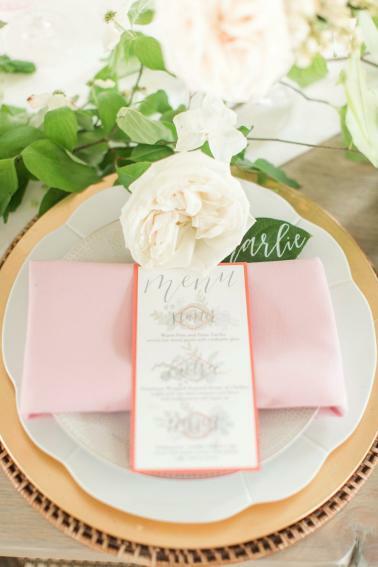 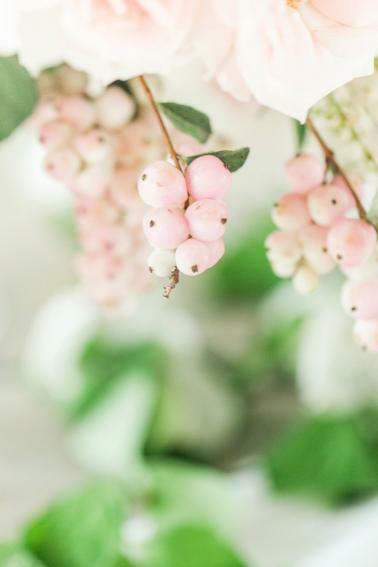 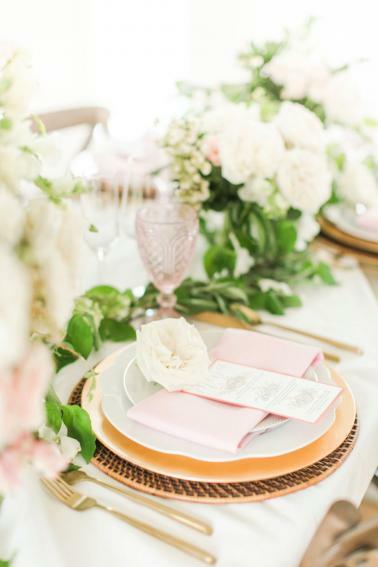 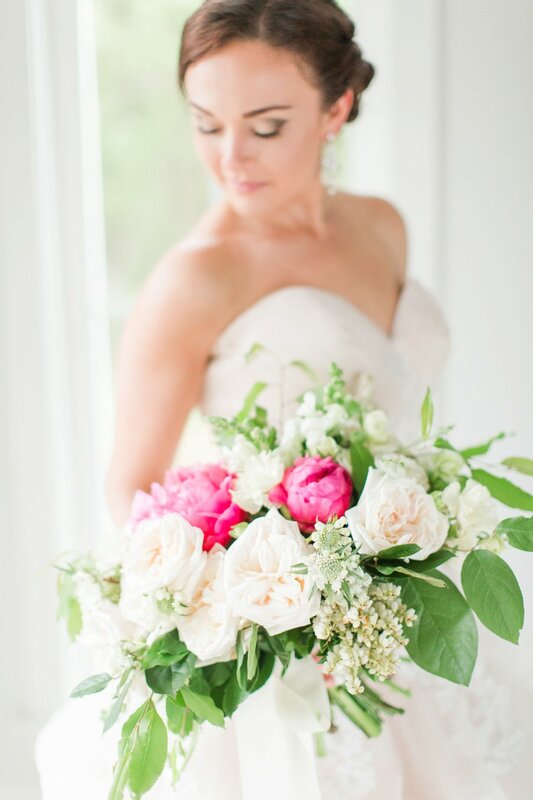 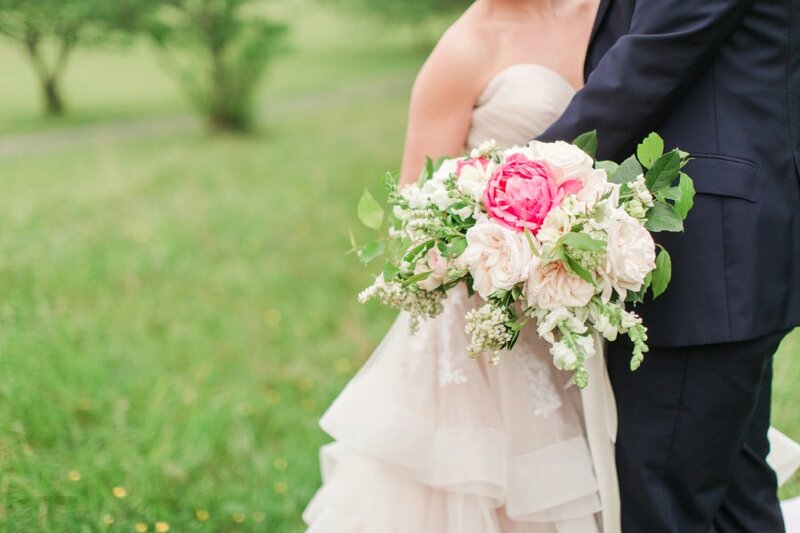 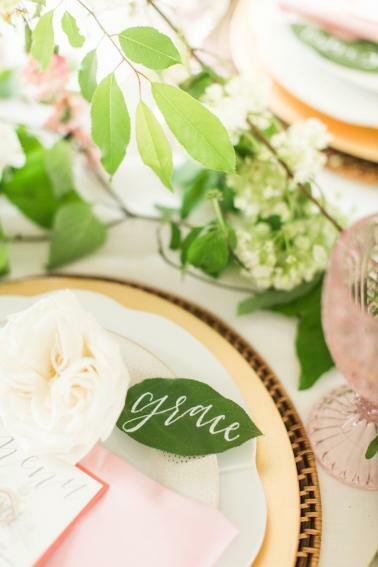 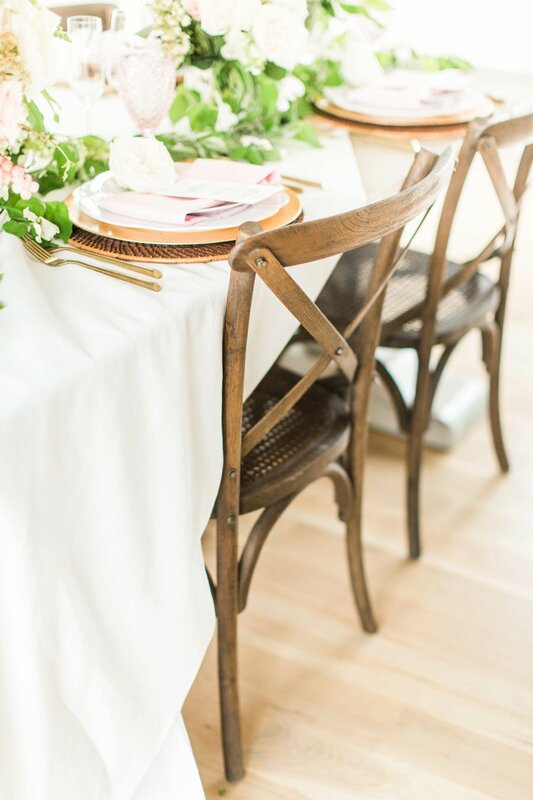 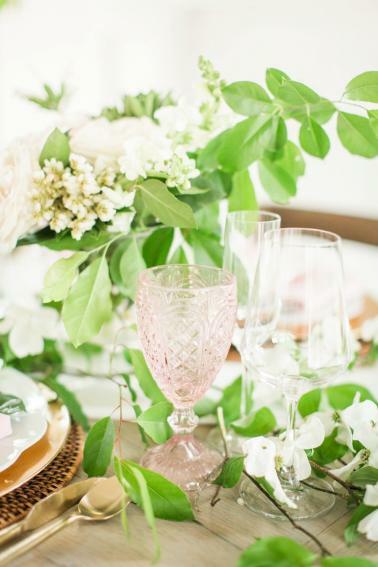 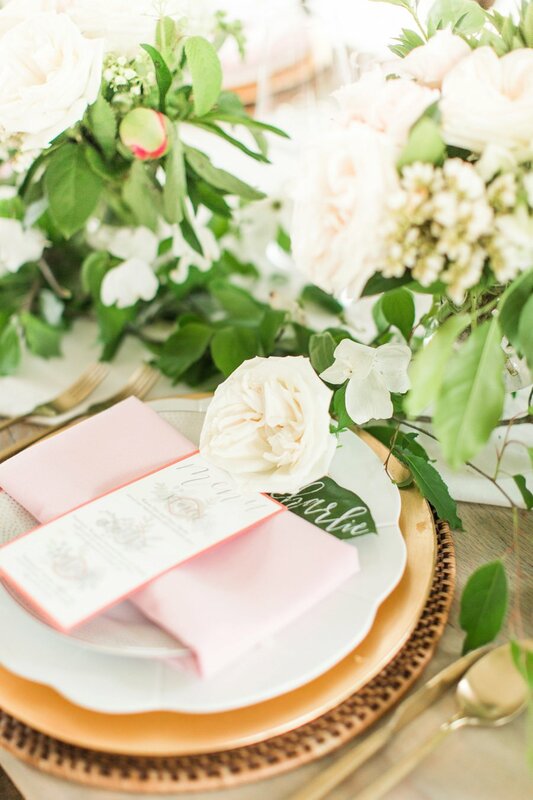 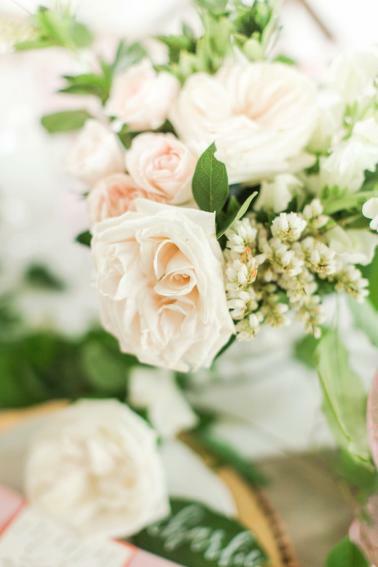 A romantic feminine style will always be a classic, and these pink and white wedding ideas offer a simple Southern romantic look captured by Katelyn James Photography. 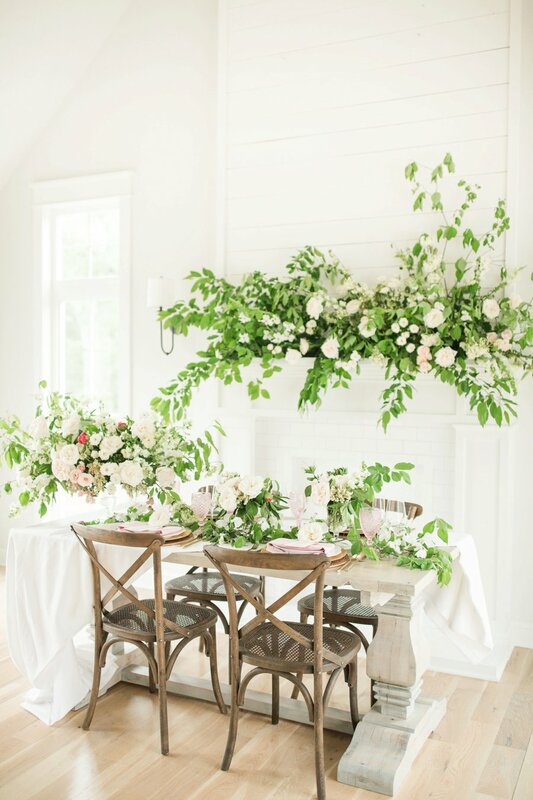 A soft pink and white color palette with watercolor details and wood accents created lovely compliments to the overall romantic design. 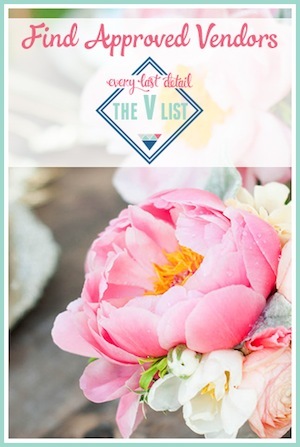 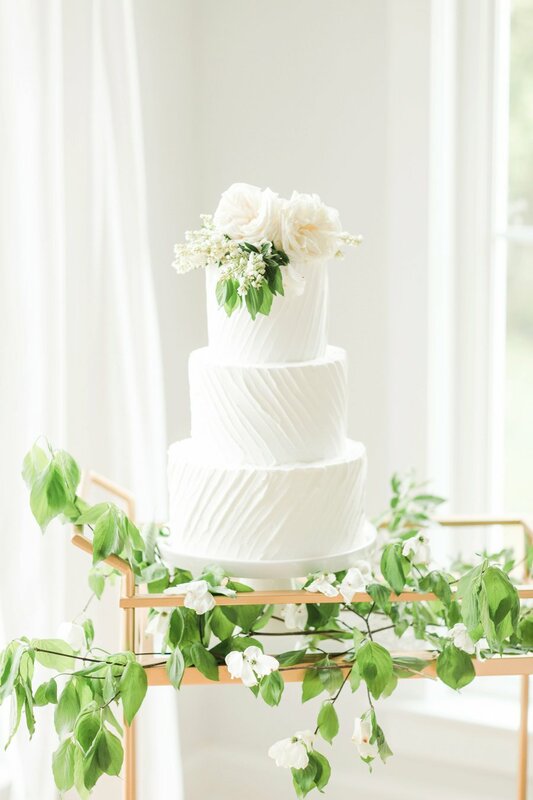 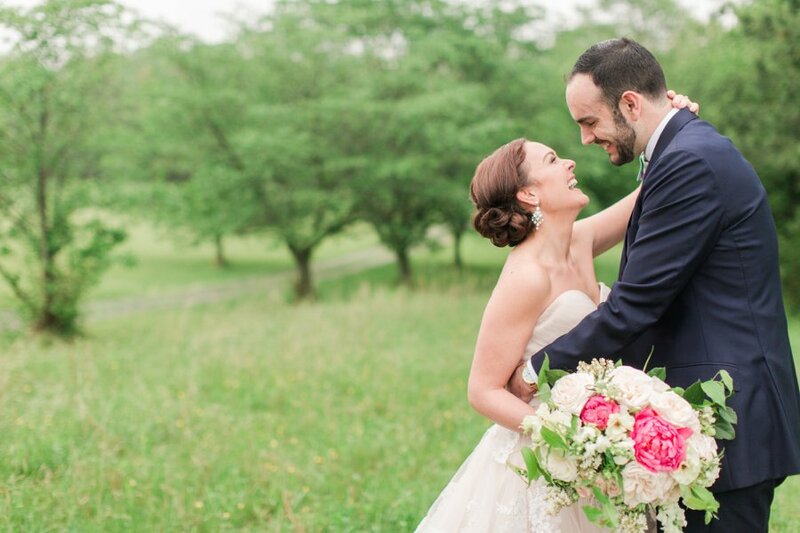 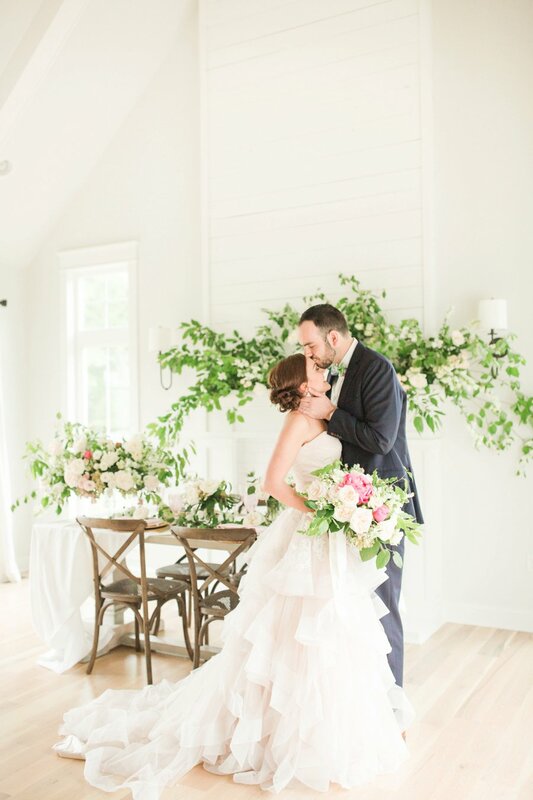 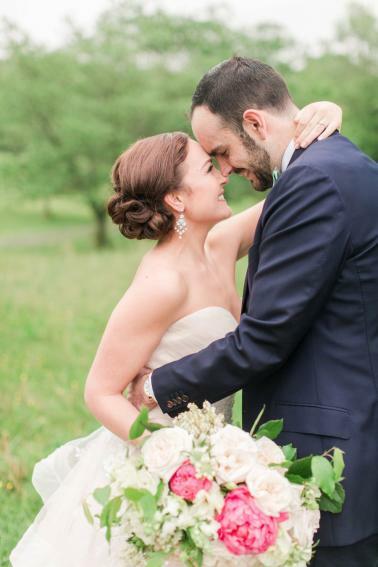 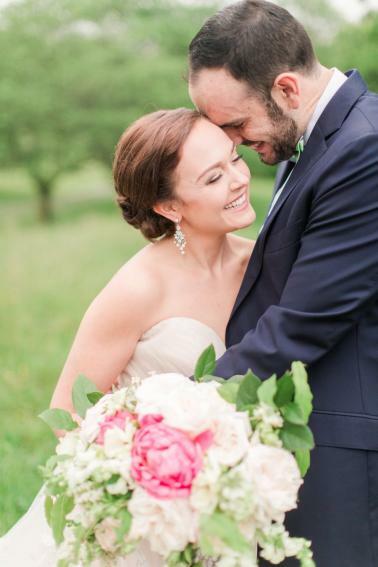 Ashlee Virginia Events pulled together so many beautiful details that we are just head over heels for! 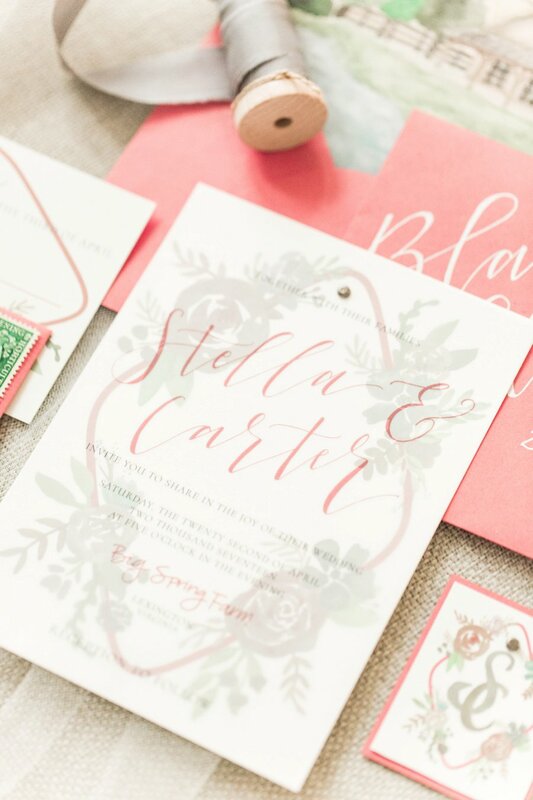 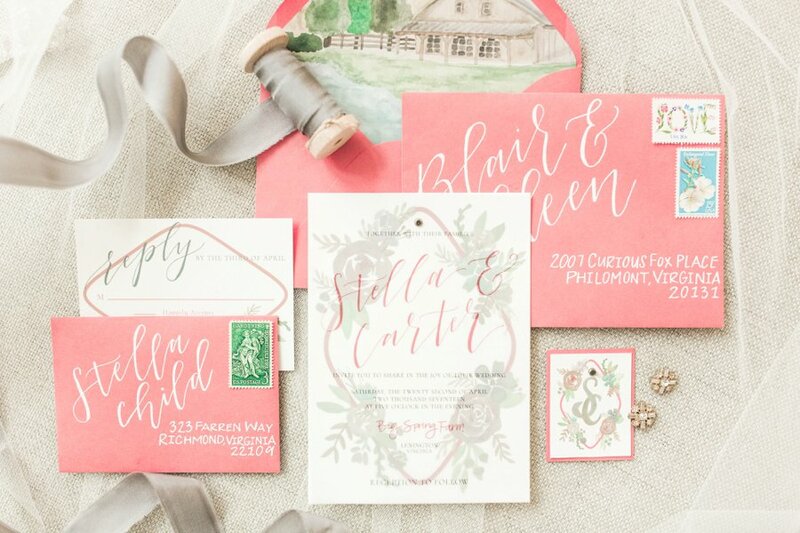 The invitation suite from Leah Letters featured a floral crest with brushed lettering, and we love the watercolor envelope liner detailing. 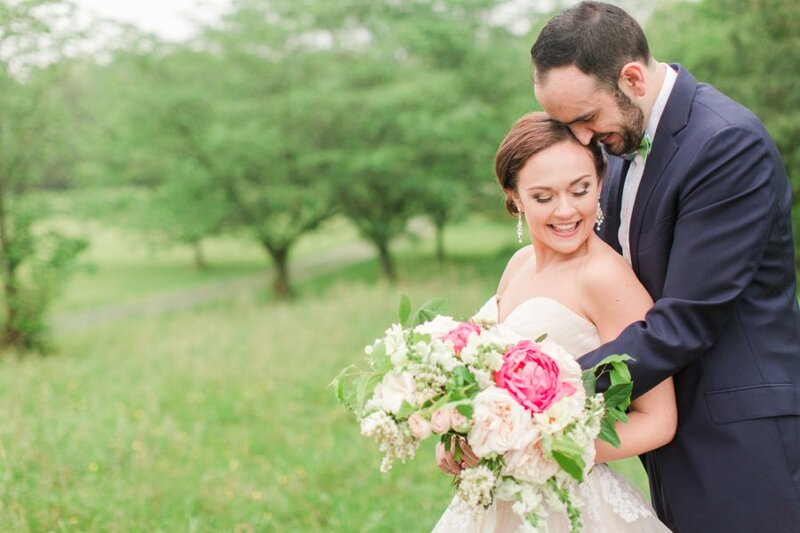 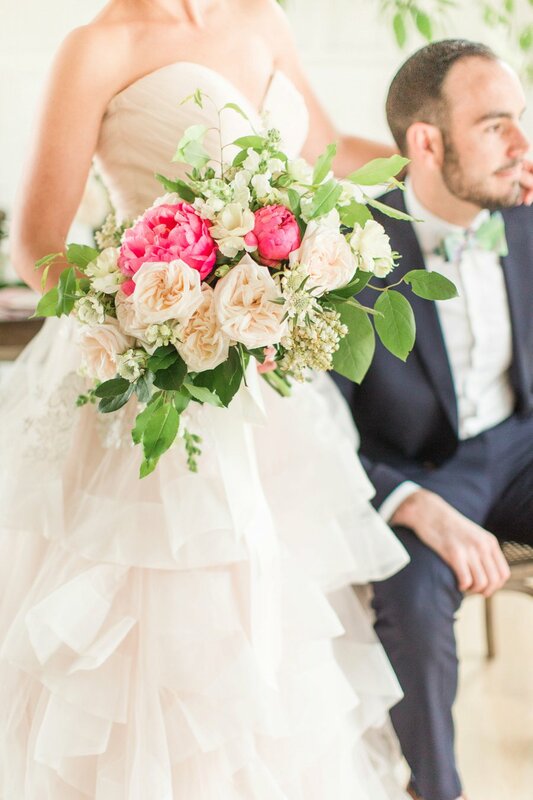 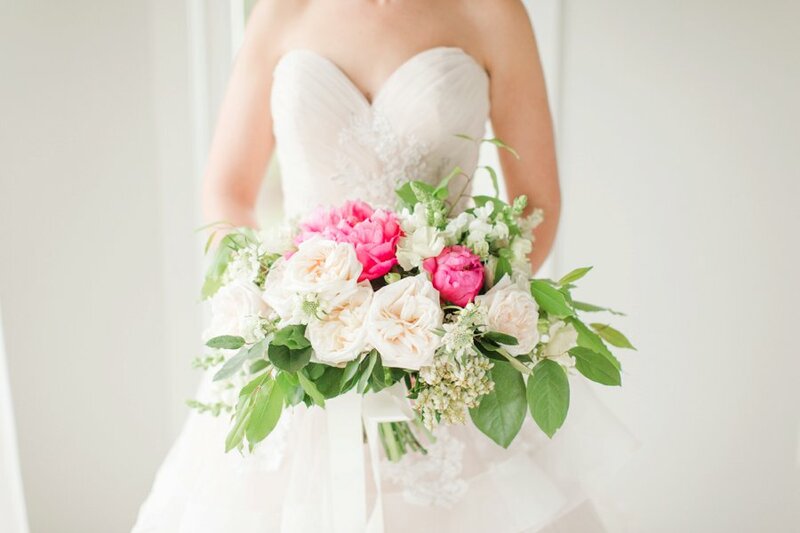 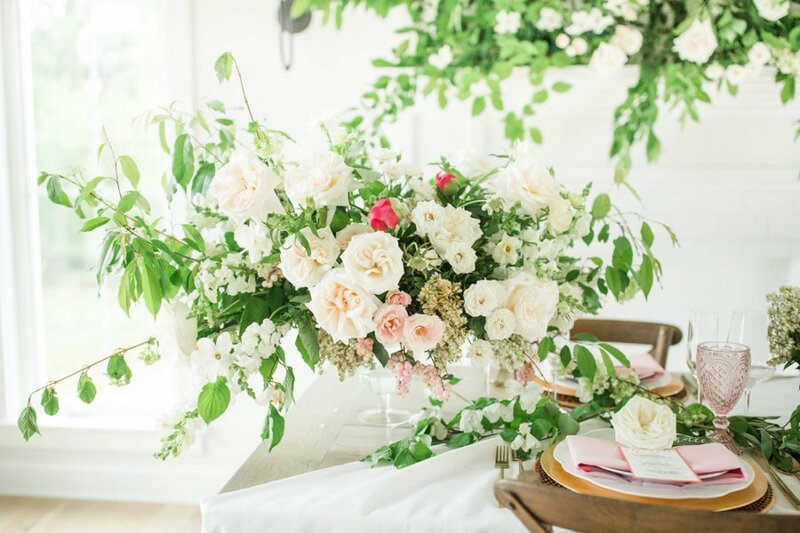 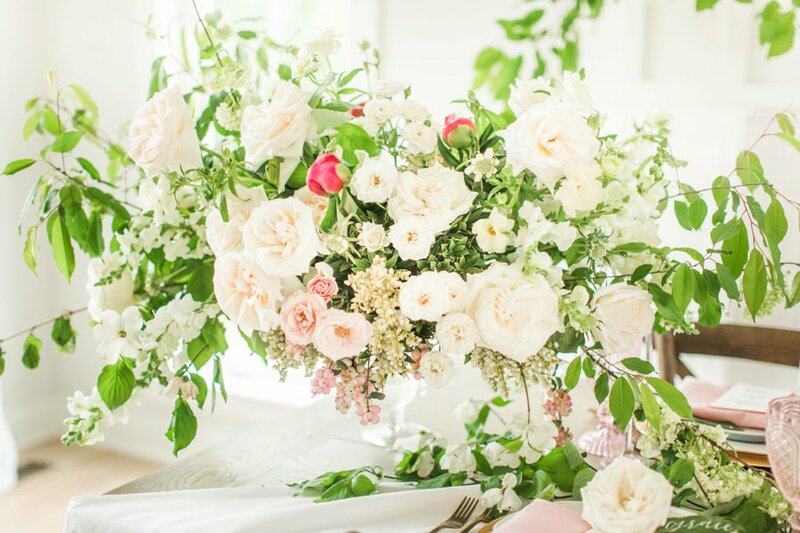 The floral design by Amanda Veronee created a major statement, complete with fluffy pink peonies and white garden roses making for a lush, organic style. 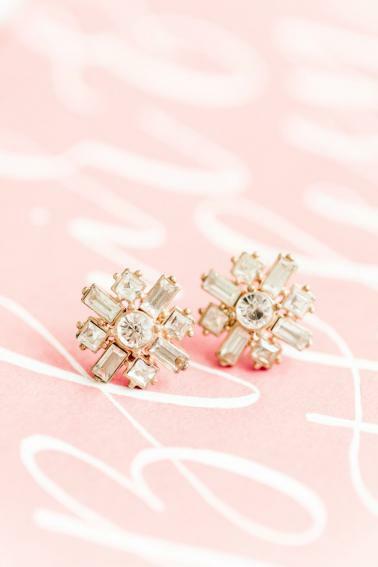 The bride’s style is also a perfect match for this classic style. 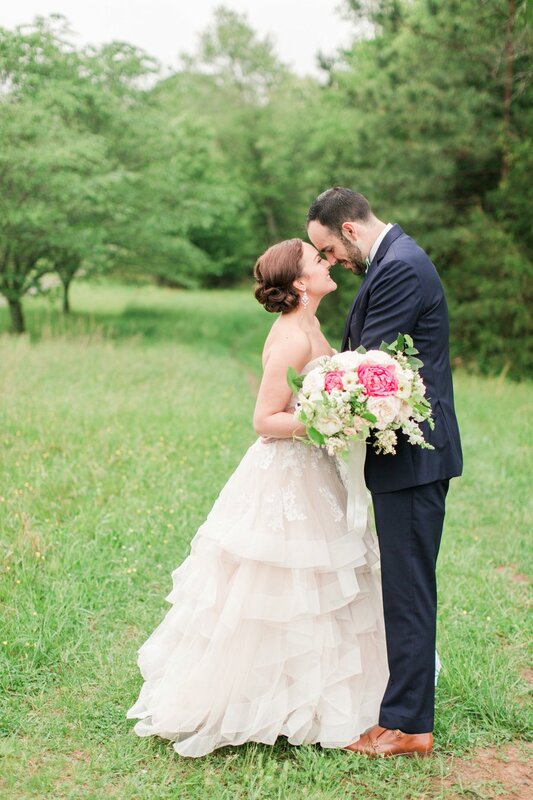 A full skirt with romantic layers that flutter with movement, and an elegant up-do swept low with pinned up curls and soft, natural makeup from Hello Darling Beauty was the perfect compliment to this timeless look. 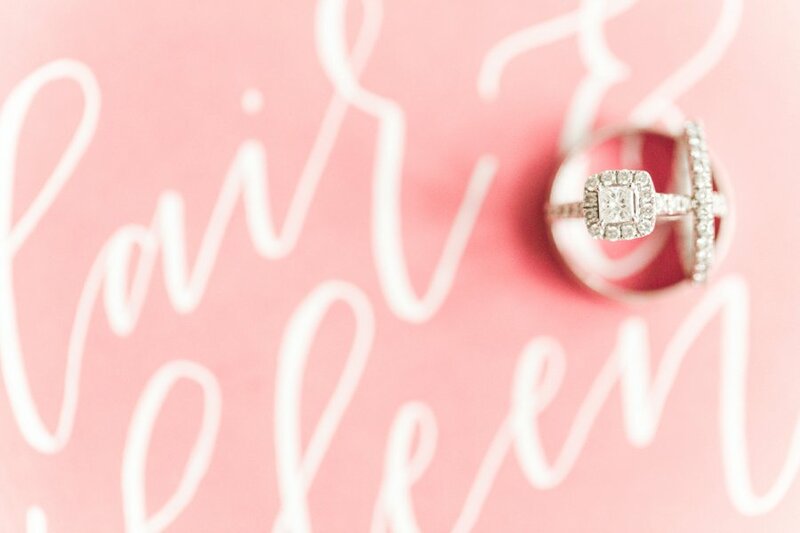 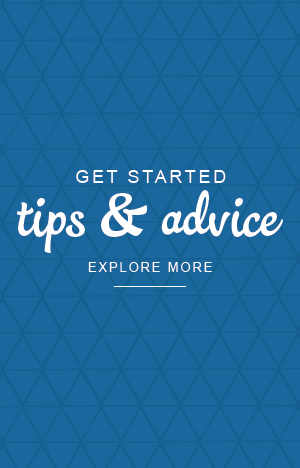 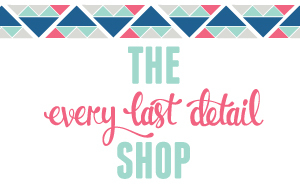 We can’t wait for you to take in all of the inspiration! 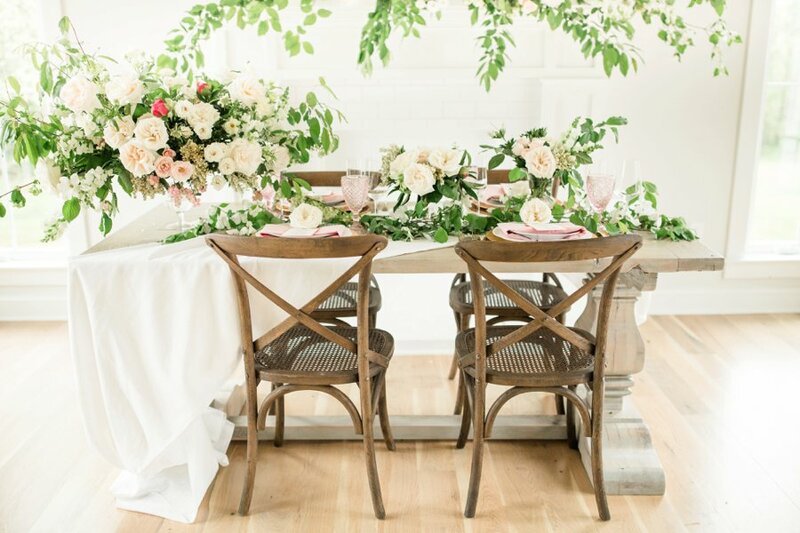 Such a fresh and romantic style that we can’t get enough of! 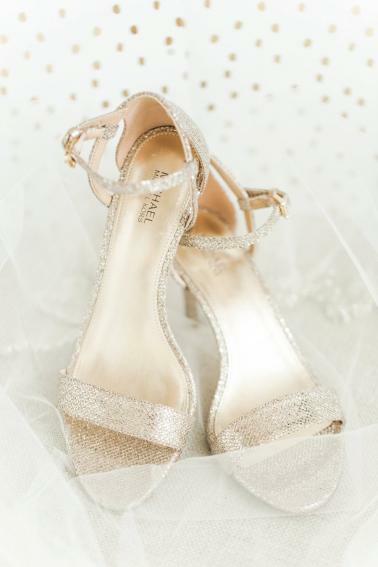 What classic details would you consider incorporating into your wedding day style?